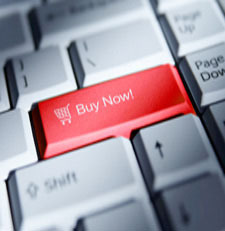 We have extensive experience building custom e-Commerce shopping solutions for all levels of business. We can assist your company with all aspects of basic merchant services to advanced real-time online authorizations and payment transactions. We specialize in per-transaction-cost solutions that allow for quick and easy e-Commerce, while also offering expansive gateway solutions. We utilize many leading web technologies allowing us to develop on many different platforms and a variety of different languages. Either Unix or Microsoft hosting environments allow for use of PHP, ASP, .NET, XML, and MySQL experience.